It’s important not to get too stressed out about an inspection. Every house will have its problems, and the bottom line is that almost everything can be fixed. Prelisting inspections are a great idea for the reason that they reduce stress for all parties involved during the deal. Make sure all areas of the home are accessible, especially the attic and crawlspace. In new construction homes, the attic access is often sealed off, meaning it can’t get inspected unless the inspector has special permission to cut open the panel. However, this will take time out of the inspection, so it’s much better to check with the builder and find out ahead of time. Store your pets! Don’t just put your dogs away in the garage or another room – the inspector needs to inspect ALL rooms in the house and having a dog around can make things complicated. Try to see if you can find another place for your furry friend to stay for 2-3 hours to help the inspection go as smoothly as possible. If you are a buyer ordering an inspection, try to reach out to the sellers realtor to see if there are pets present, and they should usually be able to make some suggestions for short-term pet boarding services. Make sure all utilities are turned on. Home inspectors will test the homes appliances, so make sure that water, electric, and gas (if you have it) are all turned ON before the inspection day. If these aren’t turned on, the inspector cannot test the plumbing, stove, and other appliances that require water or power. You will typically get charged for having a home inspector go back out to a home because the utilities were off, so save yourself time and money and double check with the sellers realtor! Clean up beforehand. While there’s no need to clean extensively, making sure that the inspector has a good general view of the home helps with the inspection. They will check in cabinets and under sinks, so be aware of that and make sure these spaces aren’t too full. You can help the inspection go more smoothly! By doing simple things like the tips listed above, the inspector can be more focused on the home and identify problems more quickly. Home inspections can’t predict the future. 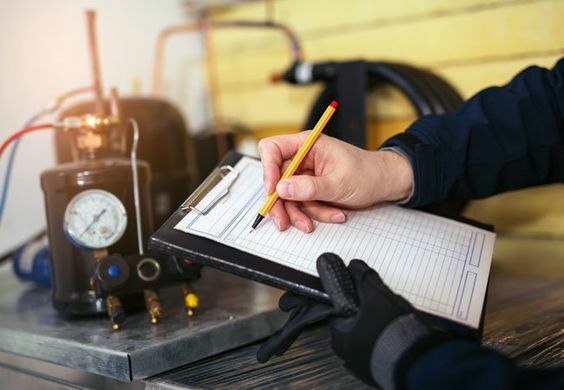 A home inspection is an evaluation of the current condition of the home, and while inspectors can tell you how old appliances are and how long they should last, but it’s not a guarantee.